Defendants must, of course, be served according to the rules of the forum court. But when a servicemember is stationed in another country, they can only be served within the strictures of applicable international agreements. 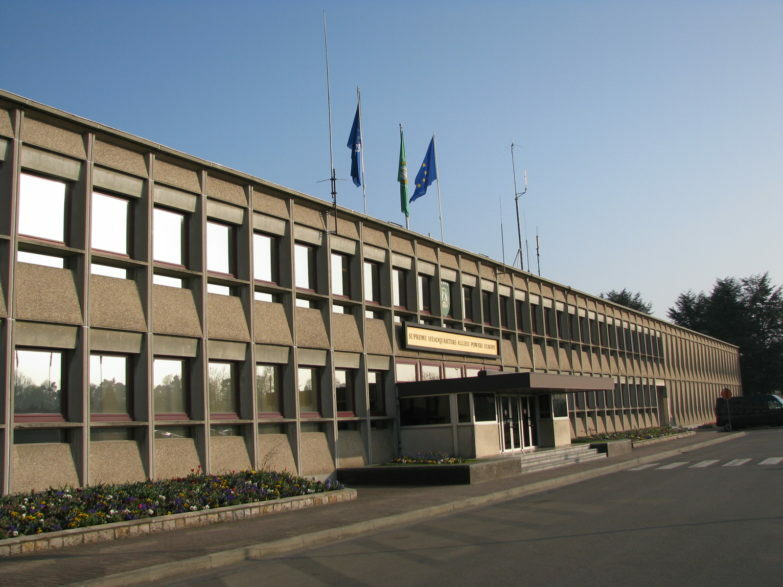 The Hague Service Convention is chief among the governing treaties, but no less important are individual Status of Forces Agreements (SOFAs), which govern access to U.S. installations by civilians and local authorities. Herein lies the quandary, with several contradictory components. Unless the defendant has a discernible civilian address (that is, not located on a U.S. installation), standard methods of service will be unavailable. Hague service is not available without an address. If a defendant lives in a barracks or other on-post* housing, then they simply don’t have an address. Of course, “1234 Eisenhower Drive” or simply “Building 2375” may be valid for telling friends where to gather for a social engagement, but the addressing system is most likely unknown to local authorities (both civil authorities and the post office). It has no legal effect, and can change by the simple act of a clerk. Forget about serving them at the office, especially if “the office” is an artillery range. Even if a local judicial officer does gain access, those officers generally avoid serving anybody at work. The Posse Comitatus Act prohibits the use of Army and Air Force chains of command for civil purposes, and various Naval regulations likewise create insurmountable roadblocks. Urban myth advises that a plaintiff simply needs to ask a JAG (Judge Advocate General) office to effect service but this simply isn’t accurate. So what is a plaintiff to do? Several options are available, although odds of success are lower than with service on a non-military defendant. Wait. Simply hold onto the summons until the defendant returns from his tour of duty overseas, and serve him upon his arrival stateside. Of course, the court must be made aware of the hurdles to proper notice, so an order excusing non-service may be issued to protect the plaintiff from dismissal. Request leave to serve via U.S. mail at his known APO or FPO (Army/Air Post Office or Fleet Post Office) address. ** APO/FPO addresses are not tied to geography like a street address is. If a unit stationed in Germany is temporarily transferred to Kuwait, a soldier’s address may not change–or if it does, the APO staff in Germany will automatically forward his mail to the new address as a matter of course. In short, the soldier will get his mail. If the defendant happens to live in civilian housing (“on the economy”) and his address can be ascertained, serve via traditional channels. This may come in different forms, so significant brainstorming is necessary. Serving a G.I. isn’t as easy as serving other defendants, but it may still be possible with creative thinking. Call us and we can bat around some ideas. * The author is an Army brat. An Army installation is referred to as a post, and it is painful to call it anything else. Not a fort, not a base, and certainly not a campus. With all respect to the Air Force, Navy, and Marine Corps, you’ll have to substitute your own terminology on this one. Post, base, installation… you get the idea. ** Use of APO/FPO mail or of U.S. military e-mail servers may run afoul of the Posse Comitatus Act. The issue has not been addressed in case law as of this writing. Serving a Subpoena Abroad? Not so fast, counsel. Subpoena, in Latin: “under penalty”. Subpoena, in American English: show up or else. It isn’t really Latin—Julius Caesar would look at you funny, because it’s not really a word. We made it up. But a subpoena is nonetheless a critical instrument in American legal practice. Essentially, it is an order to produce or appear, and it carries significant coercive effect. Disregard it, and the consequences can be expensive. Refuse it without cause, and sanctions can make your life difficult. But all this presupposes that the recipient is subject to the jurisdiction of the court issuing it. Once it leaves its own jurisdiction, a subpoena becomes nothing more than a wish list—and a clumsily worded one, at that. A subpoena’s coercive effect is revived only by statute or by court order in the jurisdiction where it is to be served (domestication). If it crosses state lines, say from Florida or Georgia to New York or Minnesota, domestication is fairly pro forma. But when it crosses an international boundary, it cannot regain its coercive effect. * It becomes a simple piece of paper and, legally speaking, is reduced to a mere request. Practically speaking, the demanding syntax of a subpoena can serve to irritate the recipient and anger foreign legal authorities. Legally speaking, it is often fatal to its own objective. So what does a practitioner do to compel the evidence she needs from a third-party witness or custodian located abroad? The simple answer: a Letter of Request. Unfortunately, the answer is the end of its simplicity. A request to compel production (testimonial or documentary) must be routed through the courts of the foreign country. And you must understand that the Hague Service Convention does not apply to subpoenas. Rather, the Hague Evidence Convention governs the conveyance of requests to compel evidence. And that treaty is merely a procedural aid. It really doesn’t do a great deal for American lawyers seeking discovery. That is not to say it isn’t helpful—quite the contrary—but it is not substantive in any way, and it does not oblige foreign authorities to lend assistance. Meticulous crafting of the request is critical, and that requires adherence to several cardinal rules… which we’ll be happy to tell you about when you call. * One exception: a subpoena may be served on a U.S. citizen, national, or permanent resident pursuant to 28 U.S.C. §1783 and Fed. R. Civ. P. 45. Such service is undertaken by U.S. consular officers. Good old 12(b)(6). 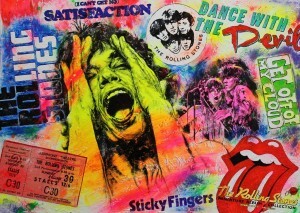 The Rolling Stones Rule. Failure to state a claim for which relief can be granted (I can’t get no Satisfaction). It’s the defense litigator’s go-to basis for dismissal. Graceful, poignant, utterly classic. Sure, the plaintiff was harmed. Sure, the defendant caused it. But there’s no law that says he’s liable for any wrongdoing. Kick it, your honor. But when a defendant is in another country, 12(b)(6)’s lesser known neighbors are more helpful. And they should give pause to plaintiffs’ lawyers who don’t know what they’re doing. Let’s say you’re in Germany. You’re an engineer at German-Cars-R-Us, and your company was involved in some pretty nasty stuff—lying to regulators, lying to customers, lying to shareholders. The story goes viral, and some guy in Kansas City who bought one of your cars six months ago now wants to sue you. Individually. Even though you didn’t have any involvement in the fraud, they’re throwing the book at everybody whose name was on a personnel list. FedEx drops a packet on your desk (Hier unterschreiben, kumpel… sign here, pal). The guy in the next cubicle speaks English and, mercifully, he translates page one for you. 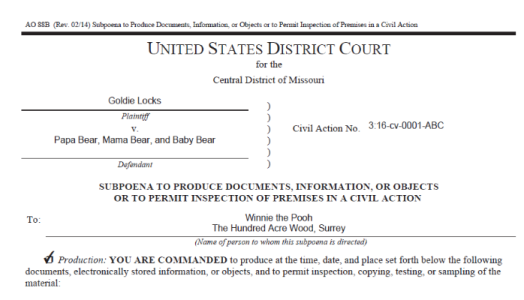 Holy socks… it’s a summons to appear in a federal lawsuit in the Western District of Missouri. They filed the thing a few weeks ago, and now you have 21 days to answer! You find a lawyer in Kansas City (danke, Das Google) who gets to work on the case right away. Fortunately, he speaks a little German, so you’re confident. You send him twenty grand, and he files an answer to the complaint. He litigates it, and you win. But you’re out twenty grand. Had he known about the law governing service of process abroad, he would have seen the simplest way to make the claim go away, and for a whole lot less than $20,000. What would I have done? I would have done nothing until the 91st day after the complaint was filed. Then, I would have moved for dismissal under Rules 12(b)(4), 12(b)(5), and 4(m). Why 12(b)(4)? Because you don’t speak English. It is rather difficult to understand a summons in English if you only speak German—and the plaintiff didn’t send a translation. Your due process rights were ignored, so the process was insufficient. Why 12(b)(5)? Because the plaintiff’s lawyer completely ignored the Hague Service Convention. Mail service (including FedEx) is ineffective in Germany, so service was insufficient. For that matter, it’s ineffective in any Hague country if the case is being heard in the 8th Circuit. Why 4(m)? Because a plaintiff has 90 days to serve, or the claim has to be dismissed. Now, that deadline doesn’t apply to service outside the United States, but the safety valve doesn’t give a plaintiff unlimited time—a reasonable diligence standard still applies. If the plaintiff doesn’t even attempt proper service within the first 90 days, he’s out. Bottom line—the plaintiff’s attorney was not only dilatory,* he also did it wrong. So wrong, in fact, that the case against you should have been dismissed sua sponte. Both sides have a malpractice claim against their lawyers, who should have come to one of my CLEs. They could’ve been rock stars. 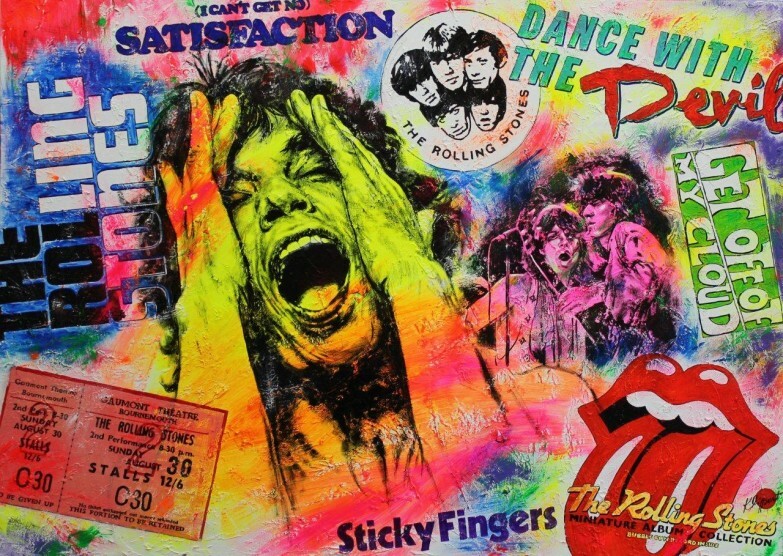 Image: Pop-Art “Mick Jagger” by Silvia Klippert, via Wikimedia Commons (free license granted by the artist).